Effy designs fine jewelry for women who aren't afraid to be stand out and be daring and bold. 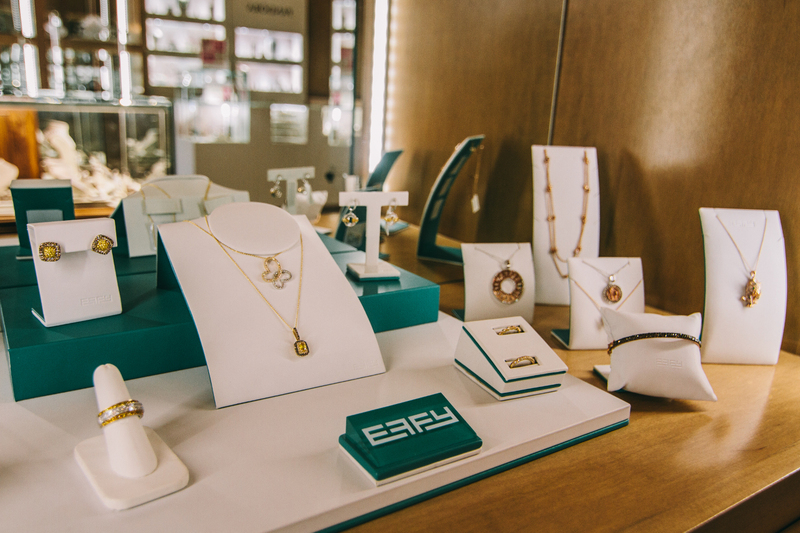 Effy jewelry combines an adventurous spirit with meticulous craftsmanship to create trend-driven pieces recognizable thanks to Effy's fascinating gemstones. Since the late 1970's, Effy Hematian has designed some of the world's most unique jewelry with vibrant color and eye-catching gemstones. The panther is his muse, which portrays beauty and power and a splash of bold. For over three decades, Effy has been living, designing and manufacturing in the U.S. Each individual piece is handcrafted infused with Effy's creative design. Effy uses more than 150,000 carats of gemstones every year and maintains the highest quality and integrity. Effy jewelry features one-of-a-kind, luxurious pieces, setting the tone for a fun collection of fine jewelry with a bold sense of style.